The Malta Rugby Football Union is mourning the death of Overseas player Taber Hammond. The American forward passed suddenly away over the weekend in his residence, aged 33. An inquiry is under way to see the cause of his demise. 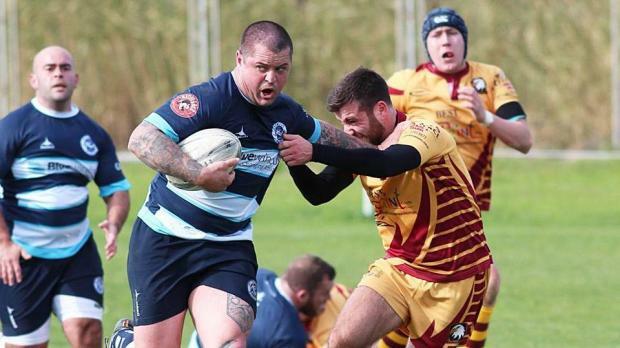 The unexpected death of Hammond shocked the whole Maltese rugby community as the 33-year-old had played for his club in Saturday’s MeDirect Bank Cup match against Stompers at Marsa. “It is with profound regret that the club announces the tragic passing away of first team player Taber Hammond this weekend,”the club said in a statement. “A great player and even better friend he made an immediate impact on and off the field, his absence will be felt deeply and he will be missed by us all. Hammond had been playing rugby in Malta since December when he came here to work at the Orthotics and Prosthetics Unit at St Luke’s hospital. During his time as a rugby player he caught they eye of local coaches and was also part of the Malta A side that played the Czech Republic in a friendly at Marsa a few weeks ago.